We offer reviews from both a Big (adult) and Little (youth) perspective so that teens and their parents can find common interests and things to enjoy together. Buddha Balm: A Reader-Suggested Review! One of our readers recently suggested we try Buddha Balm in response to our post on another brand of lip balm: Eos Organic Lip Balm Sphere. We love hearing from our readers so we decided to give Buddha Balm a try! 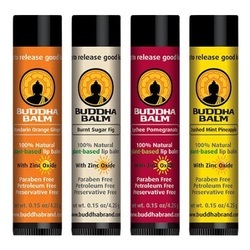 Description: Buddha Balm currently in comes in four flavors and are petroleum free, preservative free and paraben free. Made in the USA, they are gluten-free and the main ingredient is shea butter. 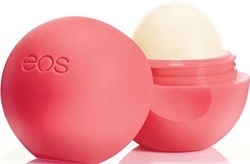 I, too, prefer this lip balm over the EOS one. It has a perfect texture for me: thick and smooth. It lasts for a long time and really helps soothe even very chapped lips. The company website describes itself as a "lifestyle wellness company" and talks a lot about their strong values. I am very interested in products that are plant-based and animal-free, as well as ones that use safer, more natural ingredients. Buddha Balm seems up to my standards, but my only complaint is the flavors! They are bit too extreme for me ("Mandarin Orange Ginger") and I would prefer something a bit simpler! They're also quite sweet; the ingredients list Stevia. I will be keeping my eye for more flavors and then I might be able to bump my review up to five stars! Try this fun and easy recipe for a twist on family mealtime. Prepare all the ingredients ahead of time and allow everyone to roll up their own spring rolls with their ingredients of choice. You can find the rice paper at any Asian grocery store and at a lot of mainstream/big-box groceries these days. With easy-to-make vegetarian, vegan and gluten-free substitutions, you can't go wrong! This one is sure to be a crowd-pleaser! 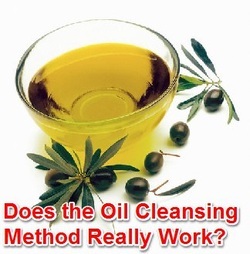 We decided to test out the Oil Cleansing Method (http://www.theoilcleansingmethod.com/) on our skin to see if it clears up acne and improves redness as suggested on their website. We thought this would be fun for mothers and daughters or sisters to try this recipe together as part of a family spa-at-home day! The idea behind this method is that commercial cleansers strip our skin of its natural oils which causes our skin to over-produce oils in response. This natural oil-based cleanser should leave the skin’s oils mostly intact and just remove the dirt and makeup from your face. Carcassonne - Spice Up Family Game Night! Looking to spice up your family game night? Try Carcassonne! Simple to learn, but never the same game twice! Description: This is a European-style tile-laying game that plays reasonably quickly (~30-40 minutes) and is usually manageable for younger audiences (8+, though you might consider removing the farmers from play for the younger audiences to keep it simple!). Gameplay requires a combination of strategy and luck, and is different every game. There are available expansion sets to add new elements, but we'd recommend starting with just the base set until you are comfortable with the game rules. Are you a big Harry Potter fan like we are? Then you will love this game! Lego characters re-enact the familiar storyline and the video clips between gameplay will have you laughing out loud! Description: This game (for 1 or 2 players) is actually two separate games: Years 1-4 and Years 5-7, but both have very similar gameplay. Years 5-7 has some improvements; for example the controls feel a little smoother, but we recommend playing both. The game follows the movies for the most part and you play using multiple characters (including Crookshanks and Scabbers!). Characters' spells and abilities vary according to things like their experience in the Dark Arts, for example. While the game itself doesn't take very long to complete, we have yet to find every last item hidden throughout the game, but we are determined! These hidden items unlock new characters and cheats, and add depth to the game. EOS Organic Lip Balm in "Summer Fruit"
Michelle loves this lip balm but Christine isn't too overwhelmed with it. We both enjoy the flavors and how it goes on smooth. The shape is a refreshing change from the usual stick or tub. Description: This EOS lip balm is 95% organic and paraben and petrolatum free; its ingredients include shea butter, beeswax, coconut and jojoba oils and more. The lip balm itself is an thick oval shape and is packed inside something that almost resembles an egg shape with a flat bottom (so it can sit upright). The outer egg twists apart (it took Christine a while to figure this out - she thought you had to pull it apart at first!) to reveal the lip balm inside. Theorie SAGA Touch: the best hair straightener? Always on the hunt for a better hair straightener? Wondering what is the best flat iron out there? Look no further! On this one, we both agree that the Theorie SAGA Touch collection is the best flat iron we've ever used! Description: This sleek flat iron comes in four colors (black, red, blue and purple) and offers titanium plates with "ionized technology", touch screen controls, automatic shut-off, a non-slip grip, and a heat-resistant textile swivel cord. It's available in either 1" or 1.5" (we both have a 1.5"). You can set the temperature anywhere from 310°F - 450°F (150°C - 232°C) and it comes with a lifetime warranty if you register it on their website (www.yourtheorie.com). The listed specifications are single Voltage: 110-127V, 60Hz and power: 45 watts. Ours came in attractive cases that can be used to store or travel with the flat iron. If you’ve been asking yourself “Where should I go on vacation?”, then this might be the answer for you! If you love relaxing in and around an outdoor pool in the sun, while lazily cooking camping style, and all in beautiful desert scenery, you will love the MiniMountain Resort, Rancho de la Sierra just outside of Cabos San Lucas in Mexico! Description: We came here for a week just after Christmas 2011 with family. This mini-resort is located on a private estate 5 miles from the Cabos San Lucas Airport in Mexico. With only three casitas (little houses) next to a pool and large patio/bbq area, this is the kind of place you come to relax and enjoy the quiet getaway. You might consider renting a car if you plan to take daytrips into the local area. Otherwise, we really enjoyed just staying on the property most of the time as it is so beautiful and relaxing.